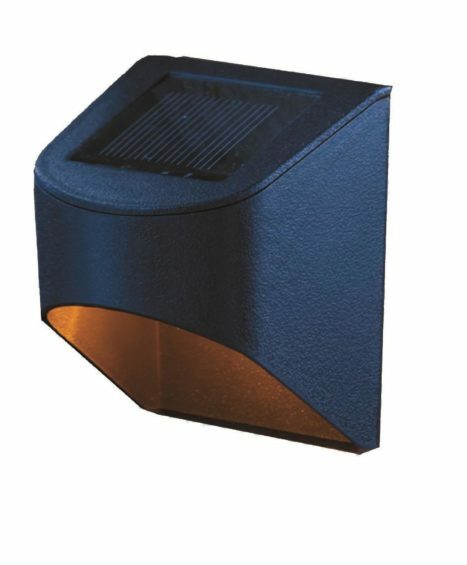 Solar powered outdoor post cap with bronze finish, clear ribbed lens and bronze base. NiMh batteries included. 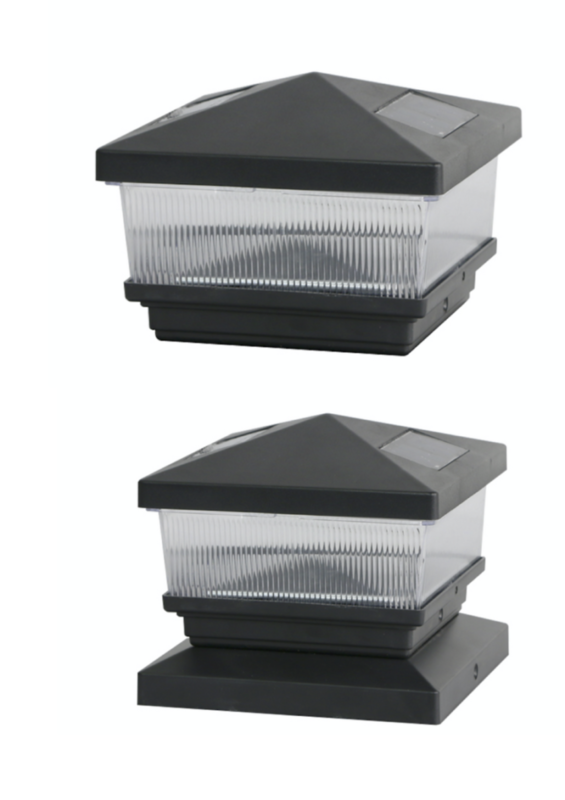 Super bright white LED bulb provides years of maintenance free operation. Built-in off/auto selector switch with dusk to dawn photo cell. Mounts to flat deck rails as well as standard 4 x 4 square posts. The adapter will allow for 6 x 6 posts. 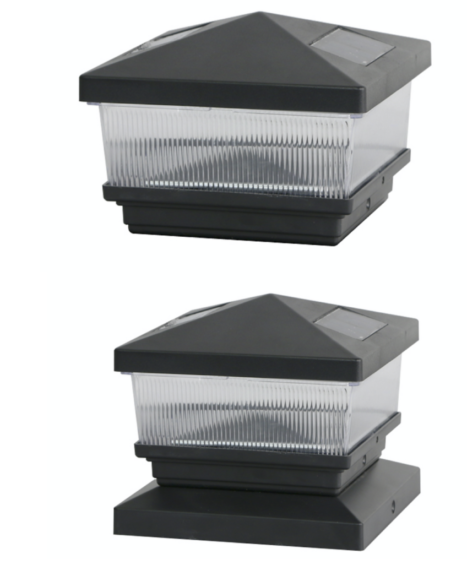 Solar powered outdoor post cap with black finish, clear ribbed lens and black base. NiMh batteries included. 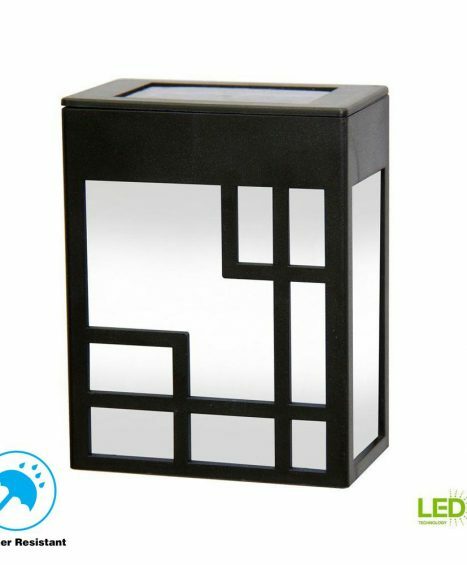 Super bright white LED bulb provides years of maintenance free operation. 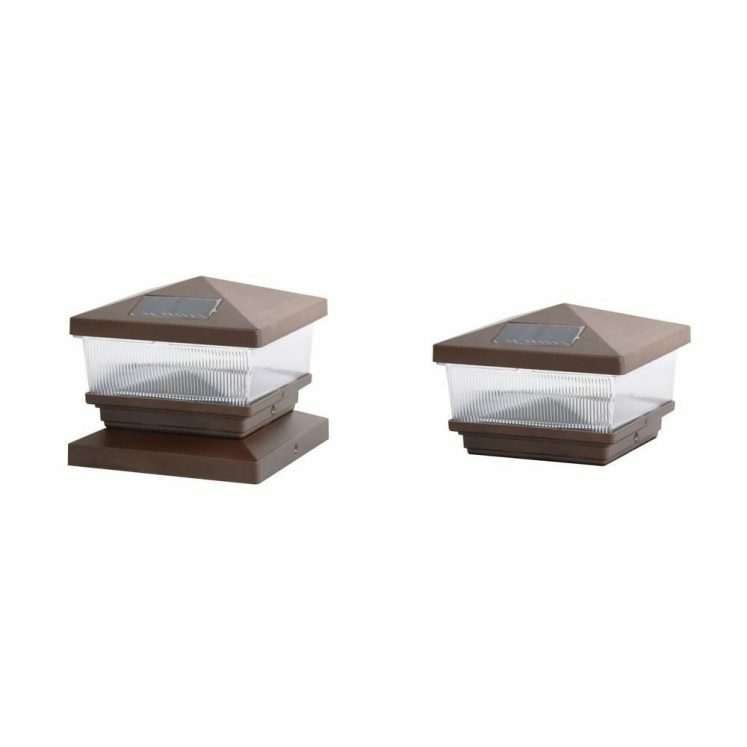 Built-in off/auto selector switch with dusk to dawn photo cell. Mounts to flat deck rails as well as standard 4 x 4 square posts. The adapter will allow for 6 x 6 posts. 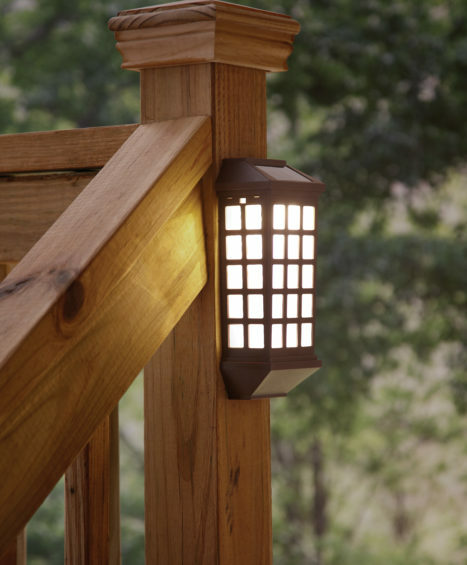 This light is perfect for deck railings, stair railings or fences to provide just the right amount of light. 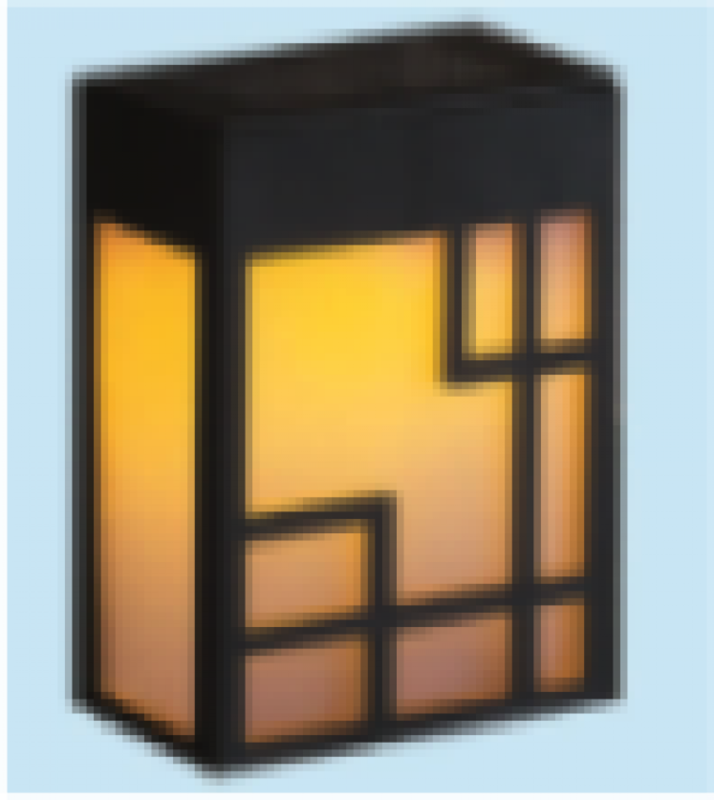 This decorative piece makes the perfect addition to any outdoor space. 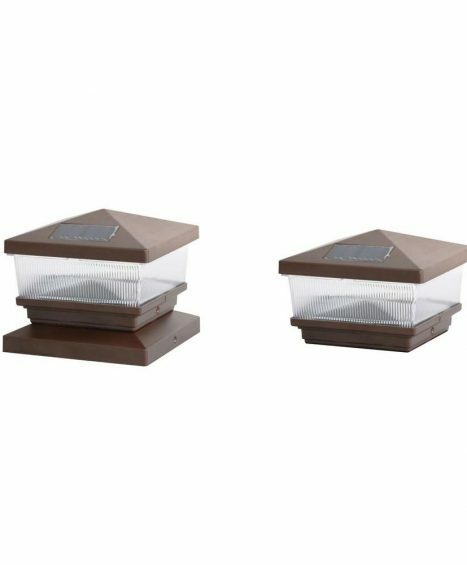 Each light automatically turns on to illuminate decks and other outdoor spaces from dusk to dawn. 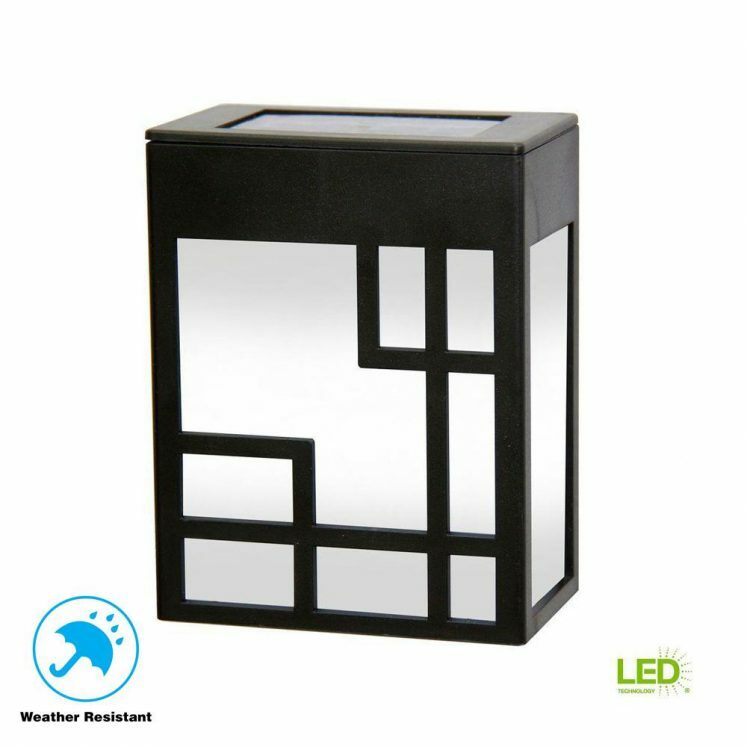 Bring a soft glow to any outdoor area with this energy-efficient LED solar path light. 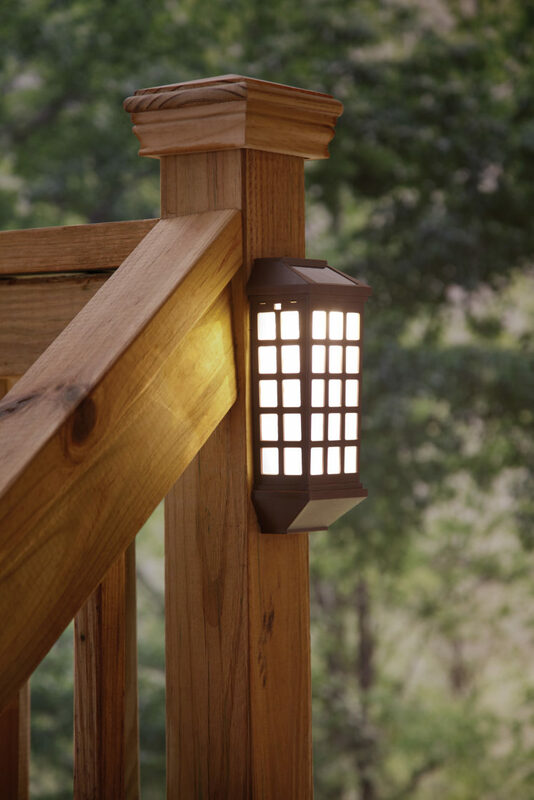 This outdoor light is perfect for deck railings, stair railings or fences to provide just the right amount of light. 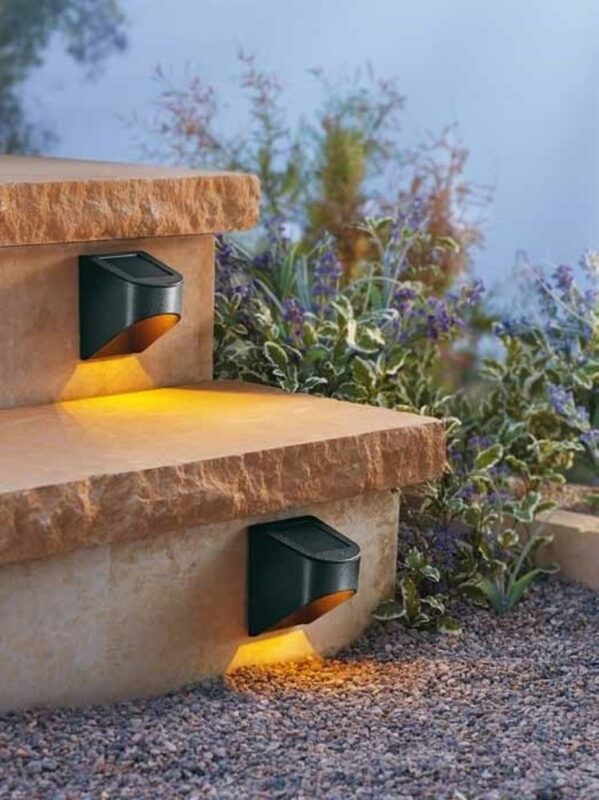 This mission design makes the perfect addition to any outdoor space. 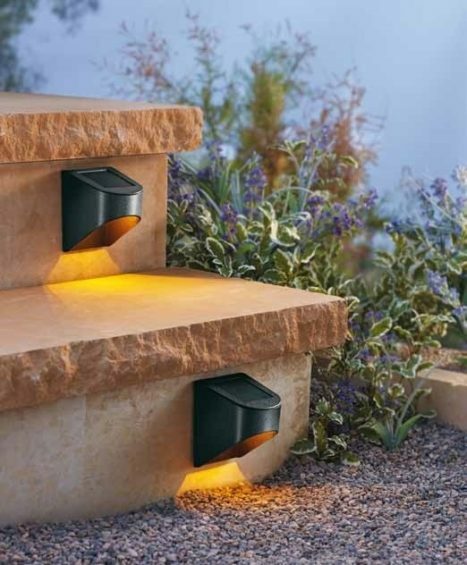 Automatically light up any outdoor space at dusk. 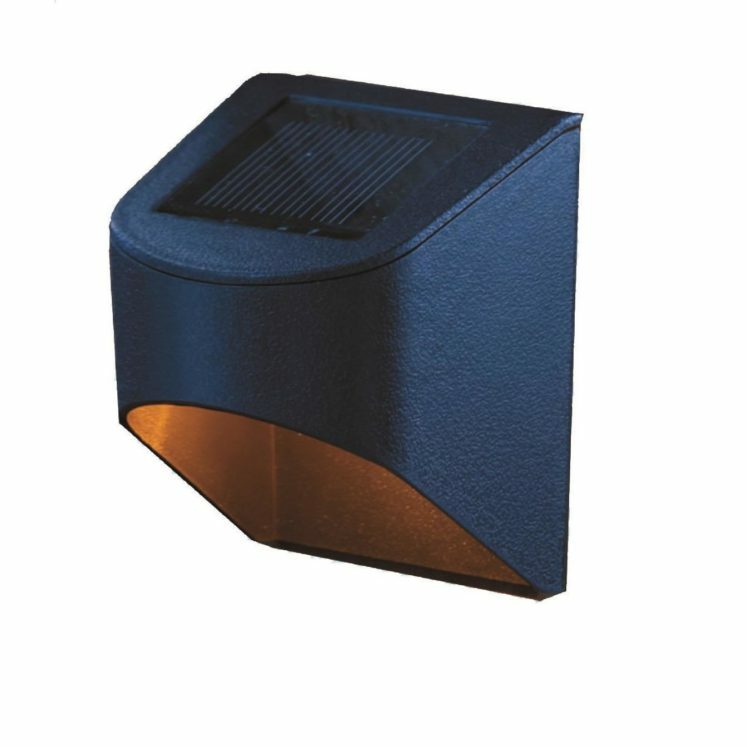 Bring a soft glow to any outdoor area with this energy-efficient LED solar path light.